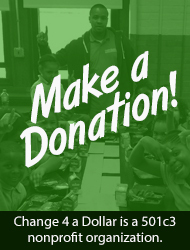 Change 4 a Dollar (C4D) is a Philadelphia nonprofit organization that specializes in youth development, by providing academic enrichment and extracurricular programs that help them build life skills. We take pride in offering a variety of services that support our scholars’ progress in their academic and social advancements. We seek to partner with educational and financial institutions in order to provide students with the knowledge and practice needed to succeed both in and outside of the classroom. Change 4a Dollar's mission is to provide grade-school youth the support to strengthen their life skills, together with the access to resources necessary to achieve optimal academic success and personal development. Change 4a Dollar is deeply rooted in the creed to "Train up a child in the way he should go, and when he is old, he will not depart from it." 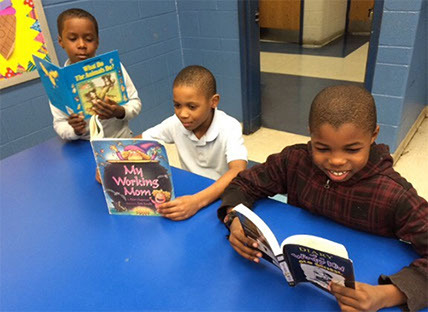 This principle is the center focus for all that we do, whether it is through our efforts to instill the essential habits for academic achievement, or to support the personal growth and professional development of our youth.  Change 4a Dollar offers and participates in a diverse set of programs that aim to promote well-rounded individuals who will continue to incorporate these lessons into their lives, as well as encourage them in others'. Accountability: We pledge to be accountable to our parents, as it is a privilege to be entrusted with their most prized possessions. Trustworthiness: Our parents and partners can depend on us to be forthright and sincere in our intentions, services, and customer relations. Dependability: We stand firm on our principles to ensure the families of Change 4a Dollar that they can depend on us. We will always be there. Adaptability: We believe that adaptability is a competitive advantage, which we embrace by continuously incorporating improvements and evolving our strategies to remain competitive and marketable. Investment: We strive to be attuned to the systemic barriers that plague our youth, and are invested in fostering equal opportunities to succeed, despite these obstacles.